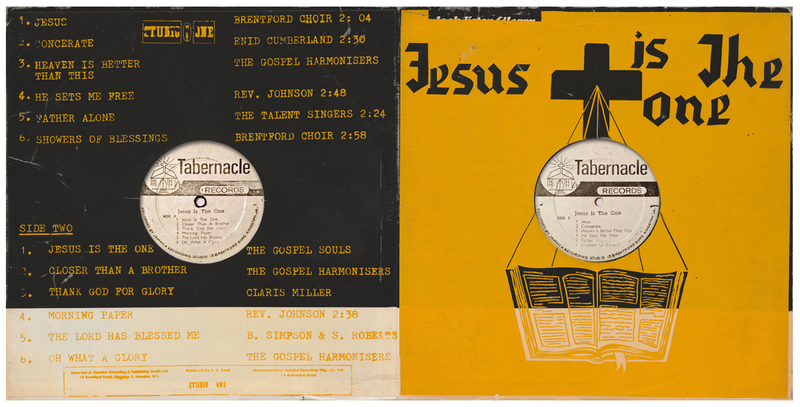 Jamaican issue released in a sleeve printed over a recycled 'look/listen & learn Audio Visual Edu-kit' original. 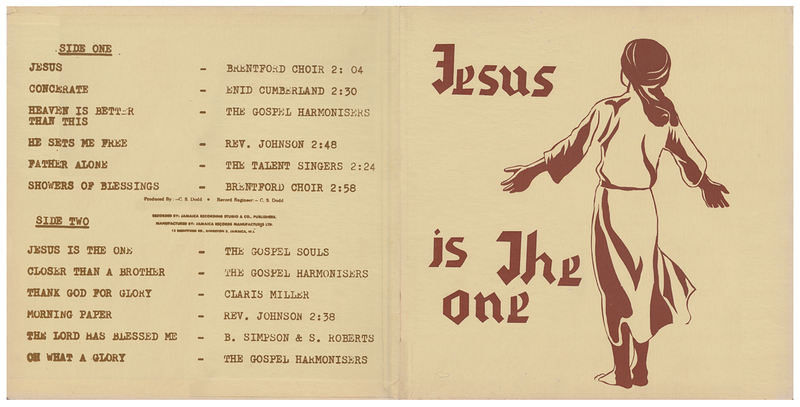 One of the most accomplished (and rarest) of the Tabernacle gospel albums, it includes three tracks by the Gospel Harmonisers and two each from the Brentford Choir and the Rev. Johnson . 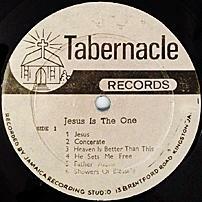 Heaven Is Better Than This (credited to the Heavenly Voices), He Sets Me Free and Showers Of Blessing were also released as singles in Jamaica on the Tabernacle Records label between 1967 and 1970.